Hello, 40k armchair generals. Today we talk about that most ubiquitous of Imperial units the Imperial Knight Castellan. 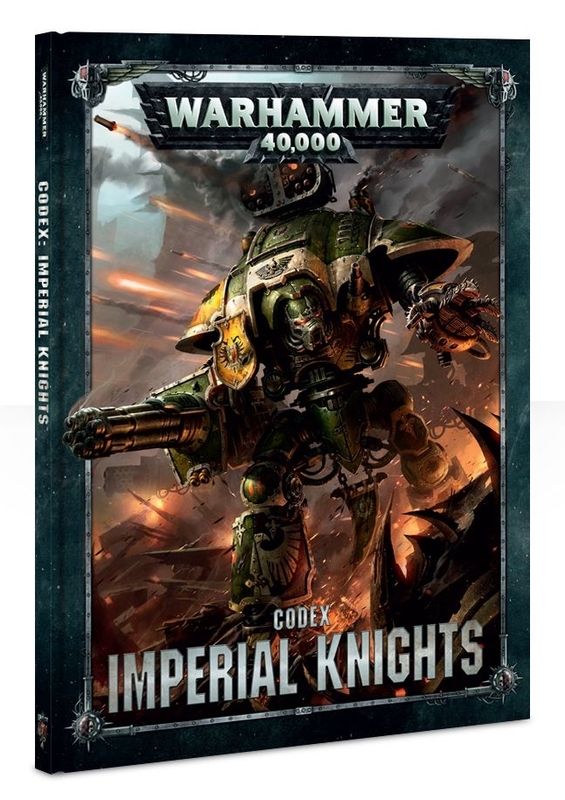 The Imperial Knight codex made a big splash on the competitive scene when it was released. I picked up the codex and immediately ordered A Renegade Box Set, a Crusader, and a Castellan. If you paid attention to the Bay Area Open this year then you know I piloted a 4 Knight plus Astra Militarum list to a 6-0 second place finish. The Imperial Knights represent a faction of ultra-powerful households in the 40k universe that can trace their lineages and in some cases even their Knights, back to the Horus Heresy and before. 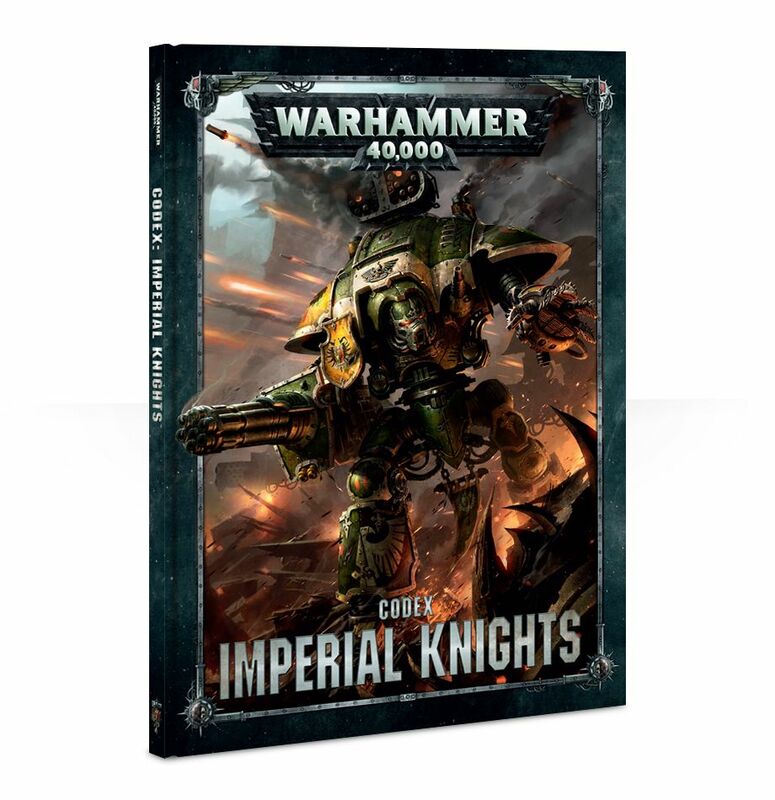 Imperial Knights have pilots who guide them into battle and the fighting style and military acumen of the pilot is matched to the armament of the Knight they pilot. The Households also adhere to two types of houses, houses aligned with the Mechanicum called Questor Mechanicus or households aligned with Imperium called Questor Imperialis. In game terms, household alignment within the Imperium’s structure affects the stratagems you can use, which is a very cool mechanic. The Castellan is the ultimate shooting platform in the Imperial Knight codex. In fact aside from the Porphyron, it is the best shooting Knight available in matched play. 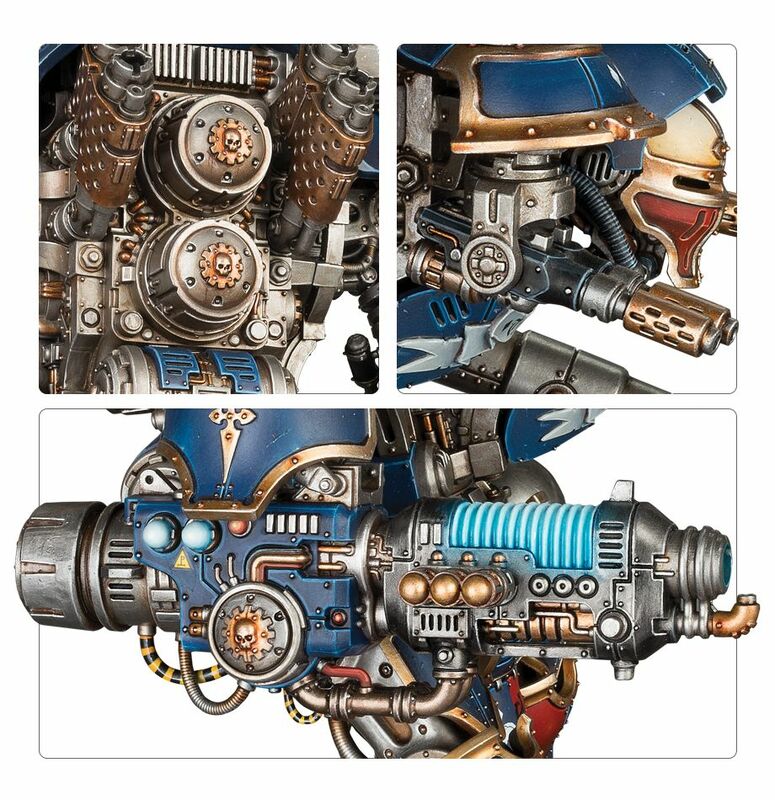 The Castellan has a massive amount of firepower it can put out in a shooting phase, depending upon the Household you choose, and Imperialis or Mechanicus, you get access to some stratagems that can boost the already formidable firepower of the Castellan even further. It can serve as an anchor unit to any Imperial army on its own or it can serve as the cornerstone to an Imperial Knights force. At first glance, most of you may think the Castellan is quite a push-button choice. Just choose targets and watch them evaporate from the board. While this holds some truth, like any stereotype, there’s much more to using a Castellan effectively than just “Take one in your list and win hurr durr”. 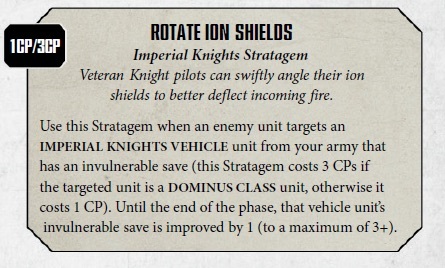 The first thing to note is the slow movement compared to the other Imperial Knights, with only 10″ of movement compared to the 12″ of the other Knights you need to keep that in mind, if for no other reason than you don’t want to accidentally cheat your opponents. It’s also important to keep this more limited movement in mind during deployment, as you may want to set up the Castellan behind a screen or large piece of terrain, and knowing it moves 10″ rather than 12″ will keep you from inadvertent movement blocking your Castellan from shooting the best targets. This brings me to the most important tactic when running a Castellan – Target Priority. You will often hear higher caliber players discuss how target priority is key to success at high levels of play in Warhammer 40k. Target priority is defined as a grouping of targets with the indicated sequence of attack. Generally speaking, it’s making a list of things you want to be destroyed in order from first to go, through the last. Target priority in terms of 40k takes on a few archetypes. Game-long target priority and Turn-by-turn target priority. 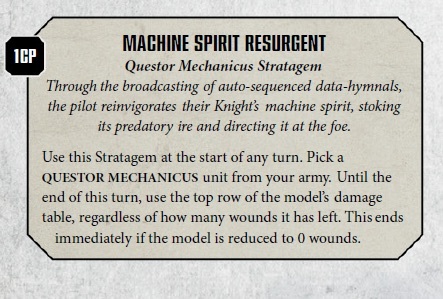 I am not going to go really in-depth into 40k target priority here, but suffice it to say, when you play a unit like the Castellan, that is 600+ points of your army and has massive damage output, choosing the correct targets from turn to turn is really important. Target priority even extends to knowing weapon by weapon what to target. The Castellan and its weapons excel at killing high toughness, high wound models, and it is quite terrible at clearing large swathes of low toughness, low wound, infantry hordes. The Volcano Lance and the Plasma Decimator have similar strength profiles, whereas the shoulder cannons are S7 and therefore not as good against many of the targets you would use the Lance of Plasma against. The Meltaguns are quite short ranged, compared to the rest of the model’s armaments, and coupled with the 10″, rather than 12″, move it is important to keep them in mind when enemies get close. Picking the correct targets requires familiarity with the weapons and the odds of hitting, wounding, and amount of damage that’s likely to be rolled. The Castellan is a model that is hindered by random die rolls. Picking targets based on the best possible outcome of all the random rolls that go into a turn of shooting with the Castellan is a bad idea, but so is choosing targets by assuming the absolute worst die roll possibilities. The best way to learn this isn’t by math hammering out the probabilities and committing them to memory, it’s practice. Practice, practice, practice. As with anything practice is required to play 40k well, even with the most seemingly push button of units. 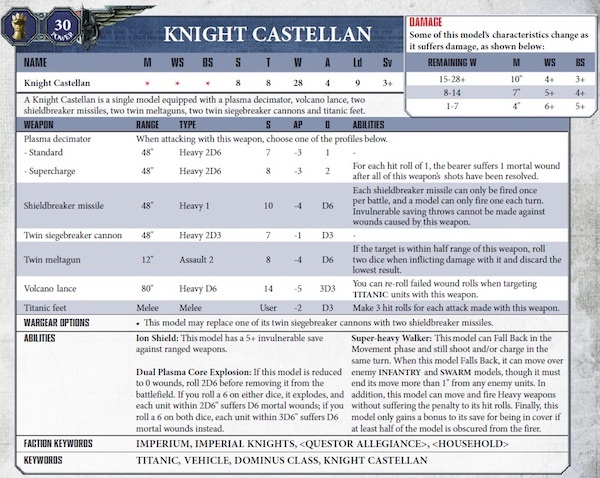 The other parts of what makes the Castellan such a good unit are relevant House Stratagems and Relics. Particularly House Raven and the Questor Mechanicus rules. 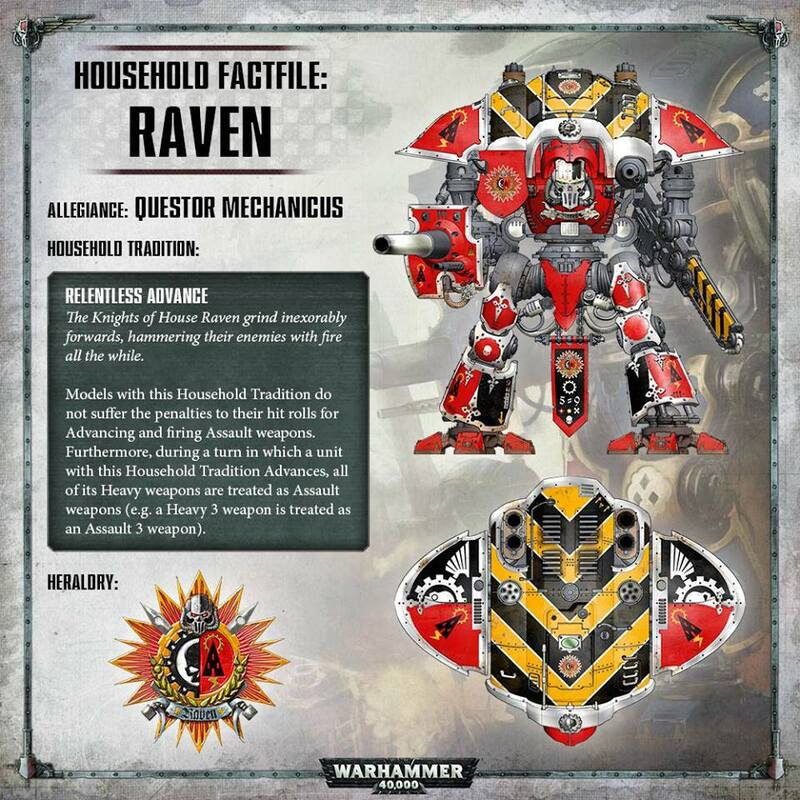 If you want to run the Castellan at it’s most effective than you’ll want to run it as House Raven. The biggest weakness of the Castellan is how random many of its weapons are. The random number of shots, big swings in potential damage per hit, hitting on 3s. All of that can be mitigated through a single 2cp Stratagem. 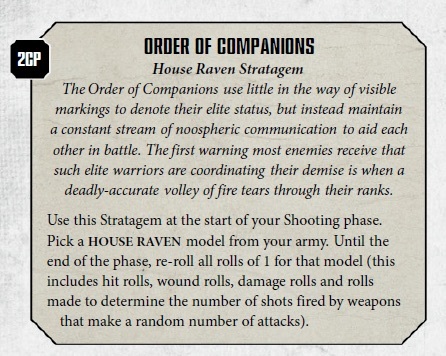 The House Raven strat, when used on the Castellan, allows it to re-roll all rolls of 1 in the shooting phase. The number of shots, to hit, to wound, amount of damage, it’s even been ruled in most cases that a roll of 1 or 2 on a d3 can be re-rolled via this strat. Not just the roll of a 1. 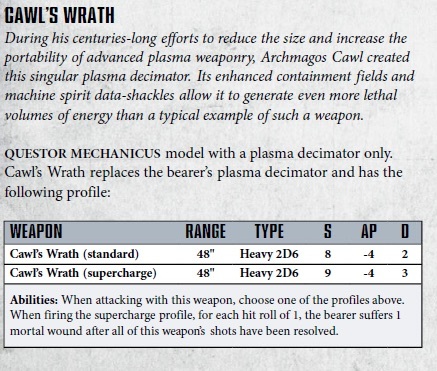 When you couple this with the Mechanics Plasma Decimator Relic, Cawl’s Wrath, you get an even more potent weapon platform. Another weakness of the Castellan is how big of a target it is for the enemy. Again, there is a good stratagem combo that works here. 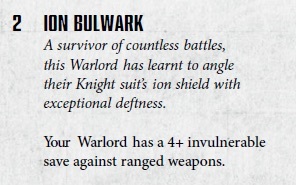 You can purchase a Warlord Trait for the Castellan, even if it isn’t a Warlord, and give it a 4+ Invulnerable save against shooting attacks, you can then use a Strat, Rotate Ion Shields, for 3cp to make it a 3++ against shooting attacks for that turn! Even if your opponent damages the Castellan and degrades it, you can still fight at full next turn. As long as you’re Mechanicus aligned, but you’re taking House Raven so that’s not a problem! The single largest weakness of the Castellan is its vulnerability in Close Combat. With no dedicated close combat weapons, other than it’s feet, poor Weapon Skill, and no invulnerable save in close combat the Castellan is truly weak to enemy units that have massed attacks, or high strength attacks. This is where the rest of your list is most important. To successfully run a Castellan you will need a way to keep the enemy at bay until the Castellan, or other units in your army can neutralize the only threats to the Castellan. Either the enemies most effective shooting units, or the enemies best assault units. Screening your Castellan properly with other Knights or with some Astra Militarum chaff is the best way to make sure your opponent can’t get to your Castellan the first two turns. I hope you enjoyed reading about the Castellan and what it can do for your 40k lists.